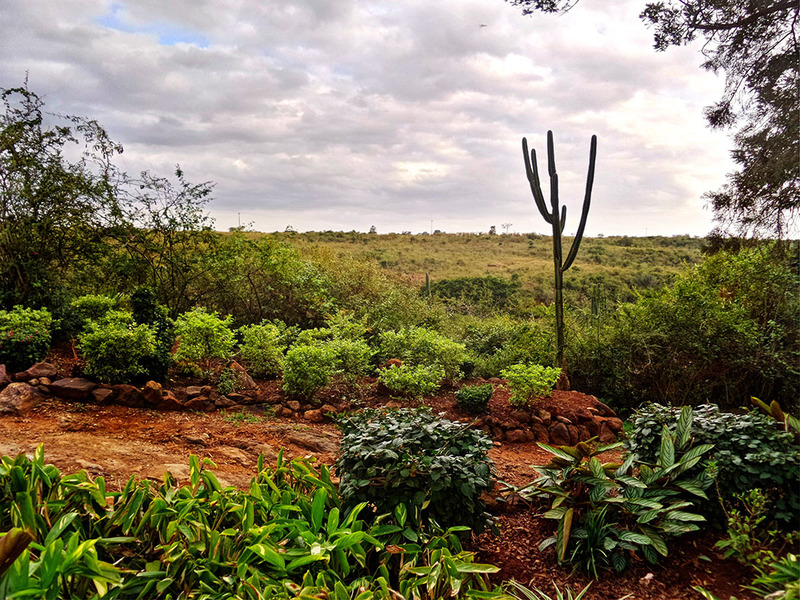 July in Nairobi is what we consider our ‘winter’ (temperatures occasionally drop to the low teens or single digits). 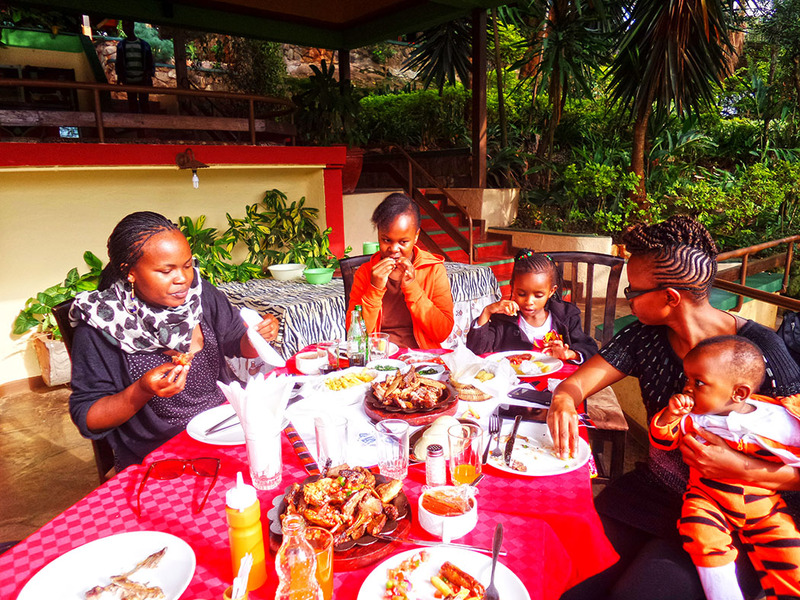 We had intended to go for a picnic in Machakos but the weather was not very picnic friendly so the plan had to change. 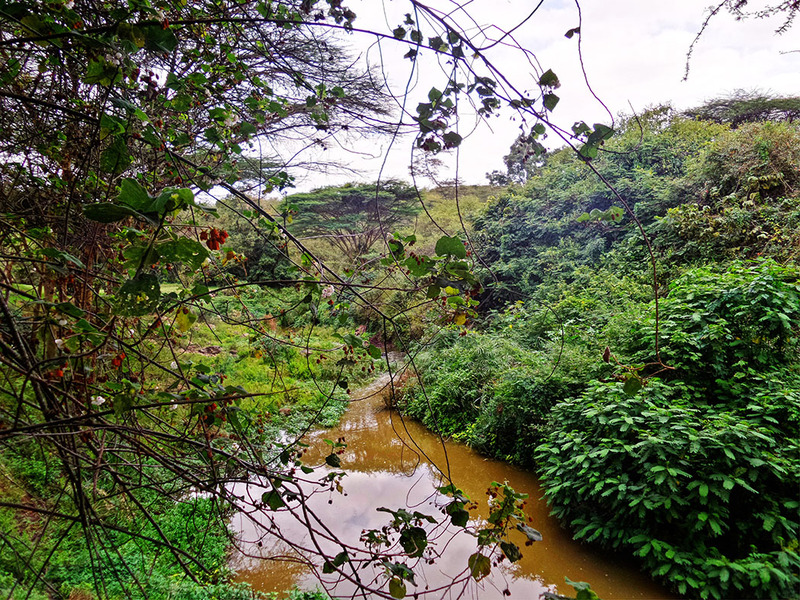 Plan B turned out to be a trip to Kajiado, a small town on the outskirts of Nairobi. 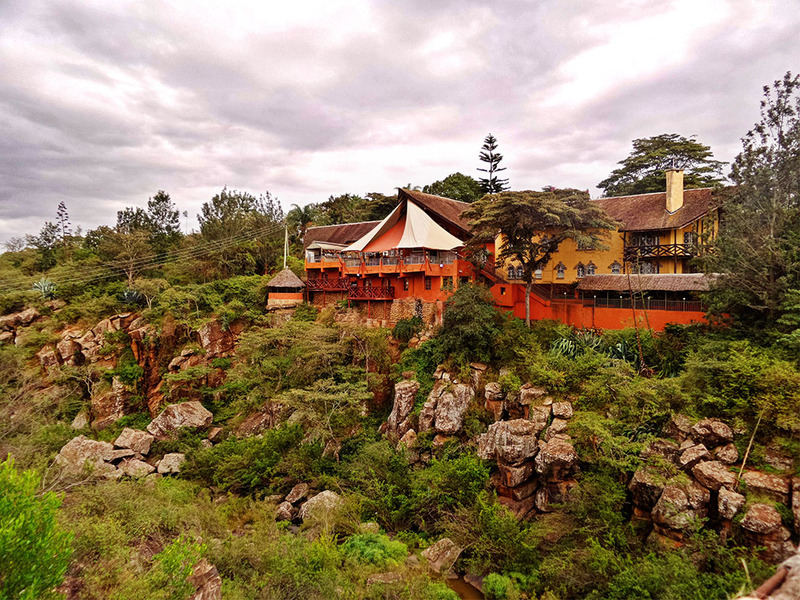 We headed to Rolf’s place a hotel situated on the South east border of Nairobi National Park, built like a medieval fortress on the edge of a cliff. A slightly rickety suspension bridge leads to the large mansion situated on the side of the cliff. 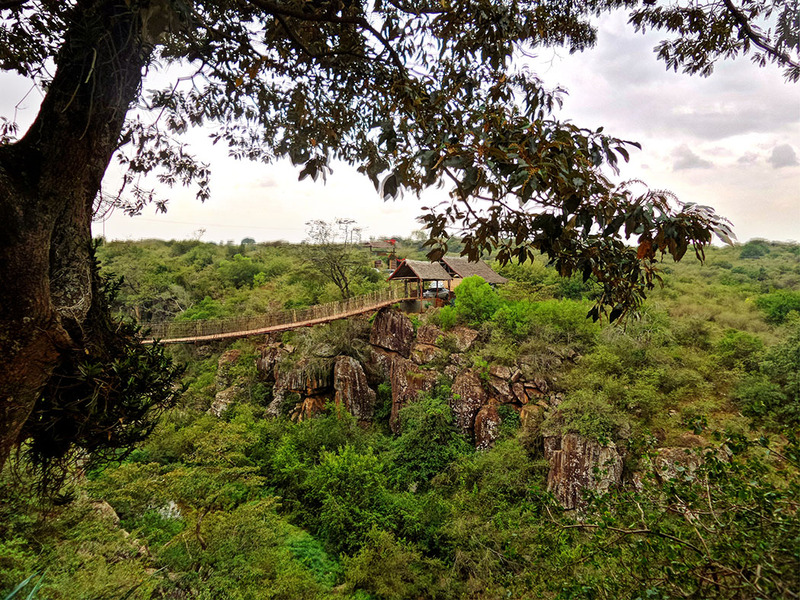 The view at Rolf’s Place is out of this world – a swinging bridge over a deep gorge separating the hotel from the National Park, with amazing views over the Gorge and out over the Nairobi National Game Park. In fact (the view) is pretty much what had brought us there. When we got to the restaurant we were asked if we had a reservation (we didn’t). I was a bit pissed, since there’s no mention of making a reservation on their website. The hotel itself has such a interesting design with a unique decor and lot’s of beautiful artwork. The décor inside the mansion is gorgeous. We were let in and directed to a table by the poolside. The plan was to have a meat platter but we couldn’t since we would have been required to order different types of meat separately. 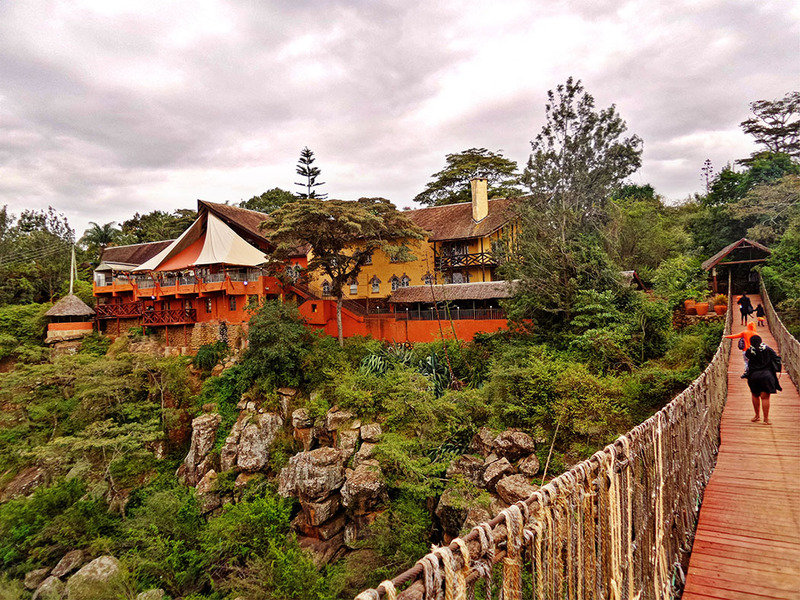 This was not going to be cost friendly so my sister suggested we try the Masai lodge, a different hotel within the vicinity. 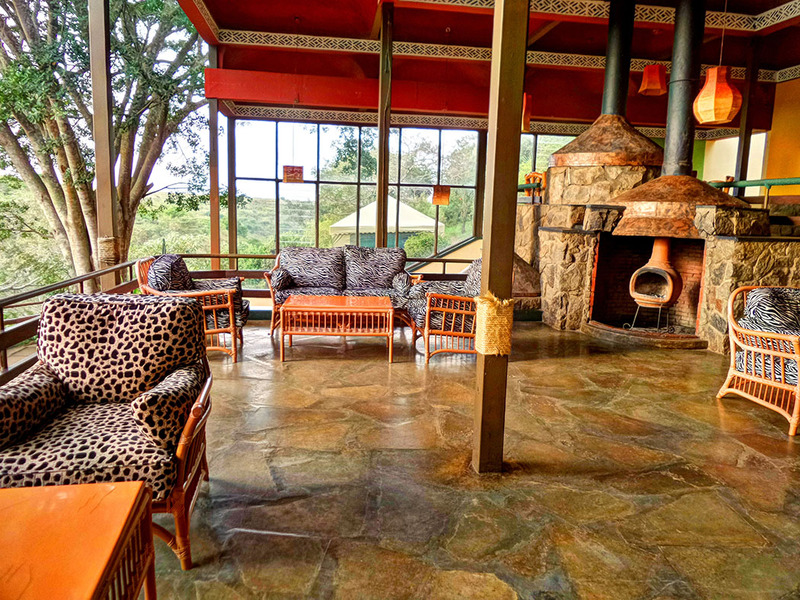 Masai Lodge is situated in Silole Sanctuary next to the Nairobi National Park, and is less than 5 min drive from Rolf’s place. We were there in no time at all. The guard at the gate was very welcoming and the staff we encountered were friendly too. We sat by the terrace and apart from one other table, we pretty much had the place to ourselves. 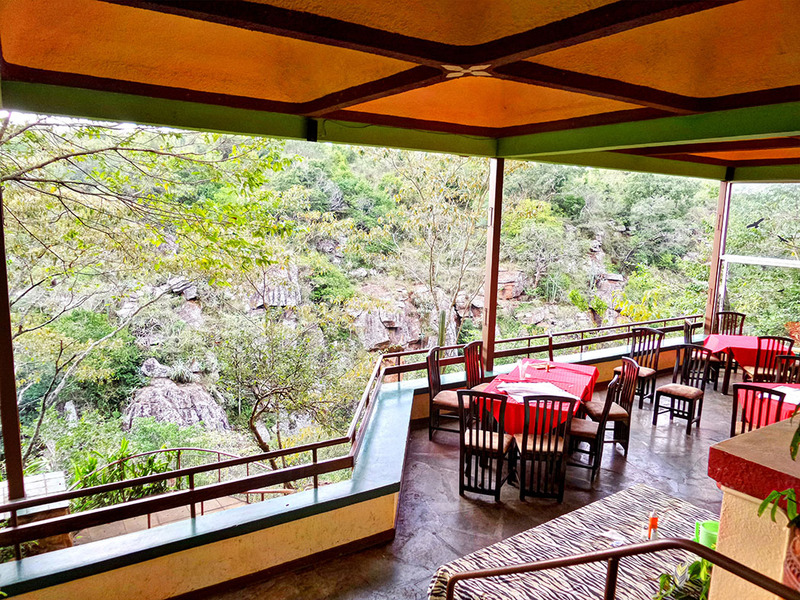 The restaurant also offers a great view of the gorge. By this time of the day the sun was out and it just made you feel like you wanted to bask out in the open. We ordered the food (yes, they served a meat platter) and while we waited I took a short walk, down to the pool. The pool looks so inviting, would love to come back on a much warmer day. Further down was the river. I got back to find that the food had finally arrived. The food was delicious and well worth the wait. 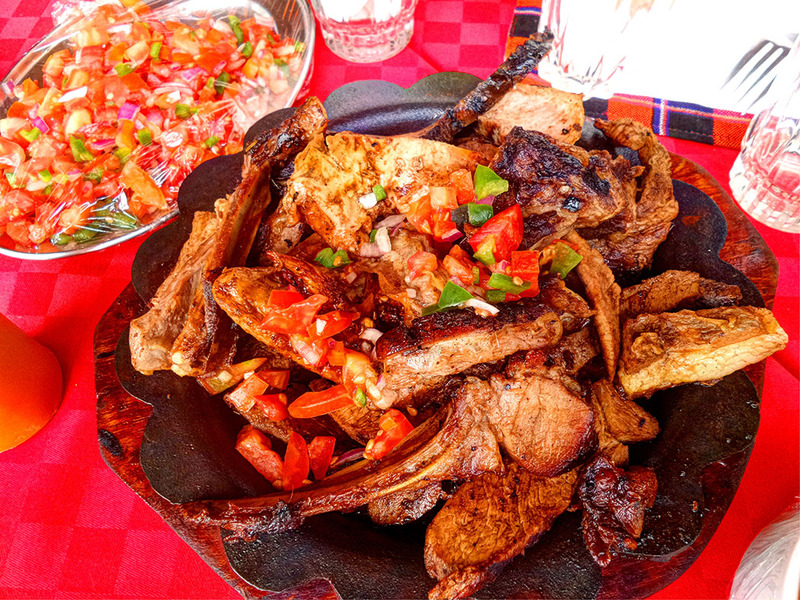 We ordered 2 meat platters ; each platter comes with 2 sides , you can choose to have fries, fried potatoes or ugali (a dish of maize flour cooked with water to a dough-like consistency). You could choose to have this with either a salad or some veggies. 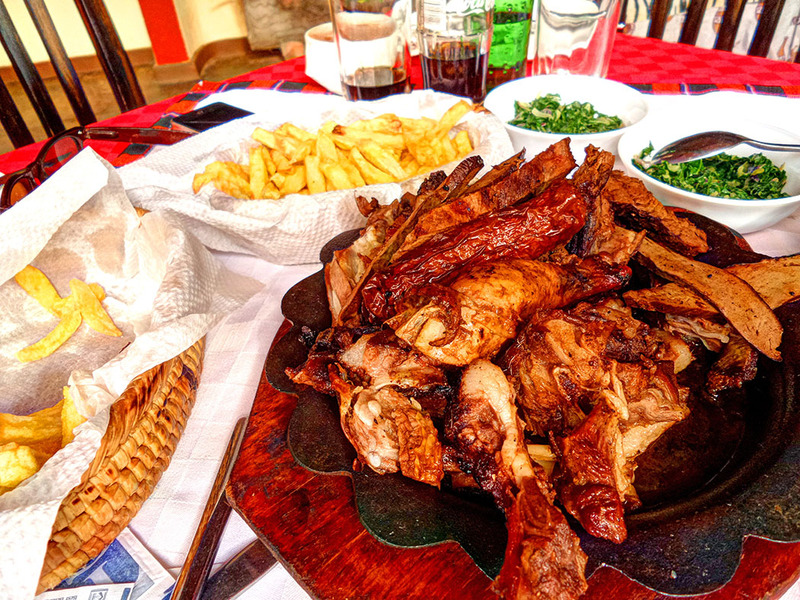 The platter contained pork, chicken, beef, sausages and liver. 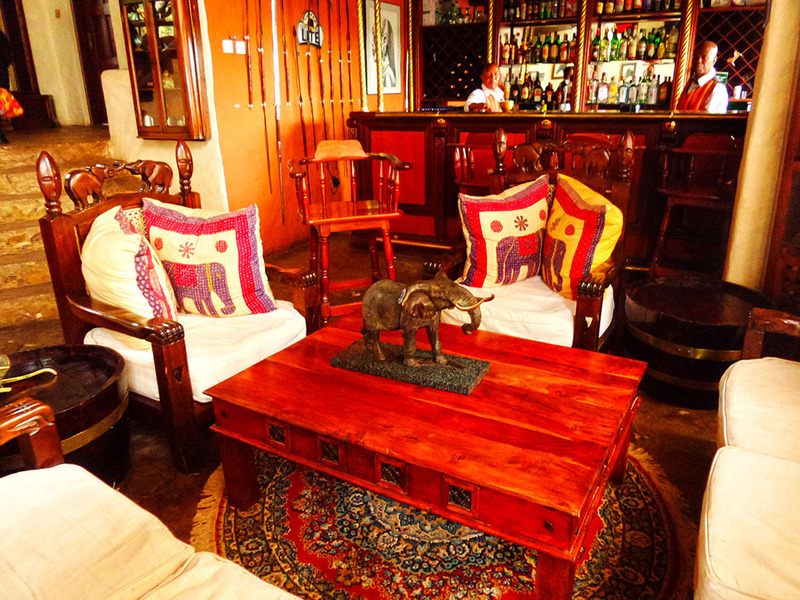 I cannot remember how much each cost individually but the bill including drinks, came to about kshs4,800 ($53). We ended up taking a whole platter home as one was more than enough. My experience was really enjoyable and we all had a good time too. The service, though a bit slow was good, the ambience too was great but the best thing overall was the view. 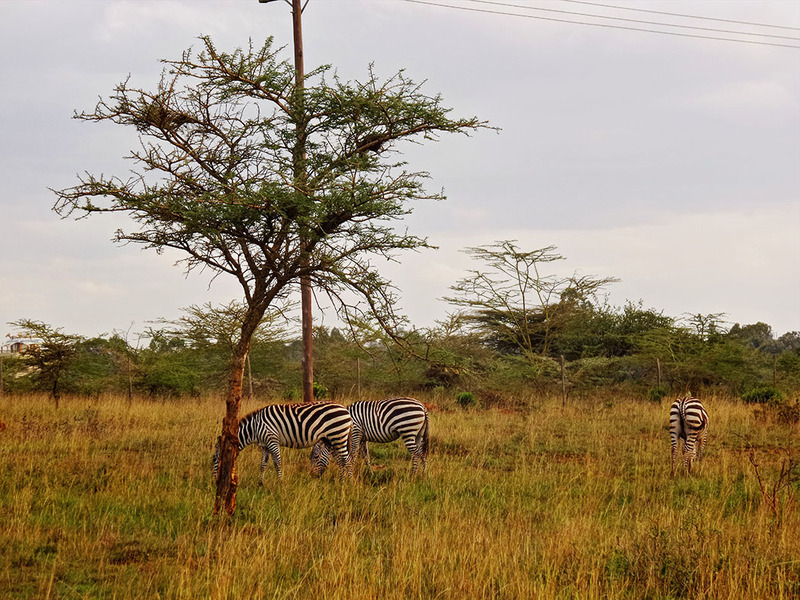 On our way back we spotted a herd of Zebras. 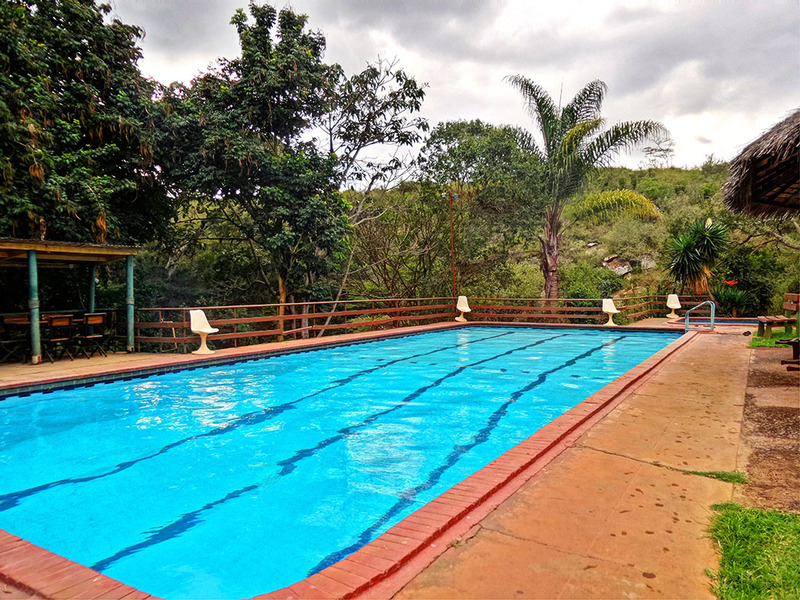 Maasai Lodge and Rolf’s Place offer ideal gateways for a day out with friends or family, the surroundings are quite wild and lush and you wouldn’t think you’re so close to the city. 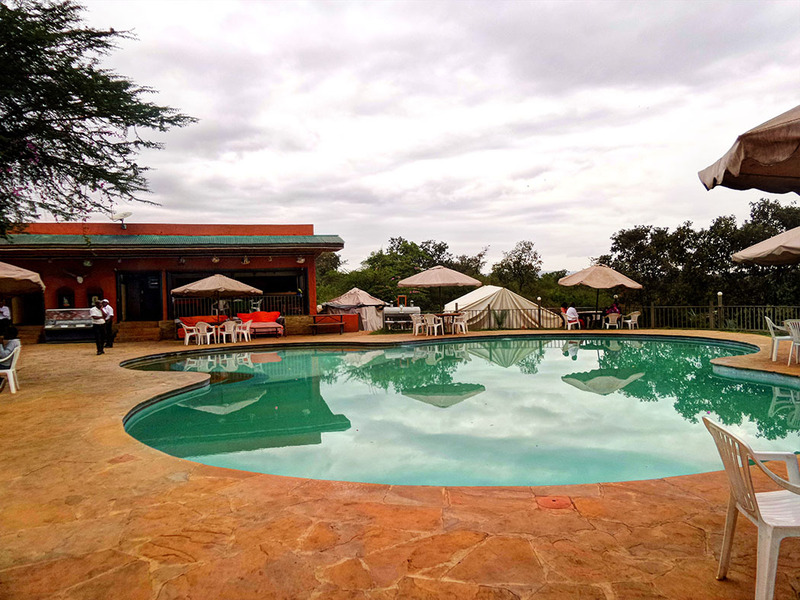 Maasai Lodge is situated 19km from the city centre in Kajiado at the outskirts of Nairobi, If using public means, take matatu or bus number 125 from the city centre, and alight at the junction of Magadi Road and Maasai Lodge road. 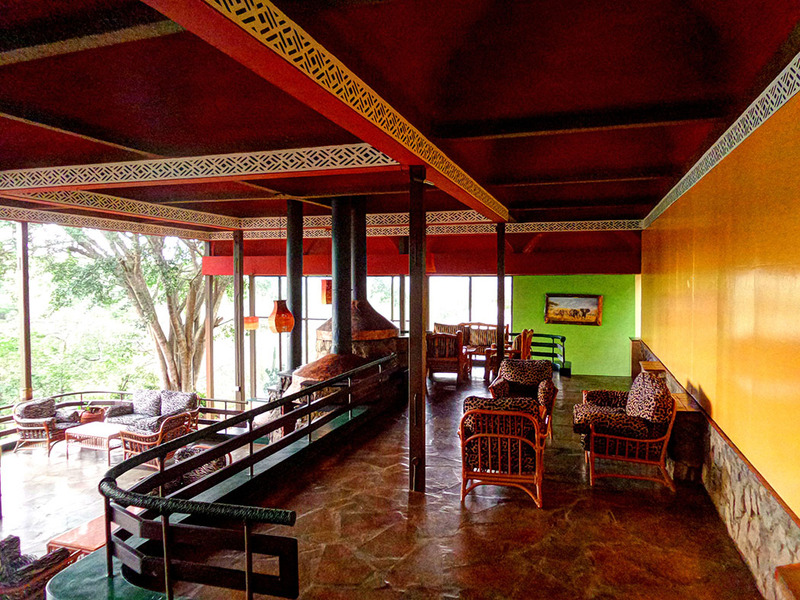 You should be able to get a bodaboda (motorbike taxi) from here up to Masai Lodge. If driving, take Uhuru Highway till Nyayo Stadium, then turn right onto Langata Road once you reach the junction at the Bomas of Kenya, turn into Magadi road then turn left into Maasai Lodge road. The turn is about 1.4km past Multimedia University of Kenya. 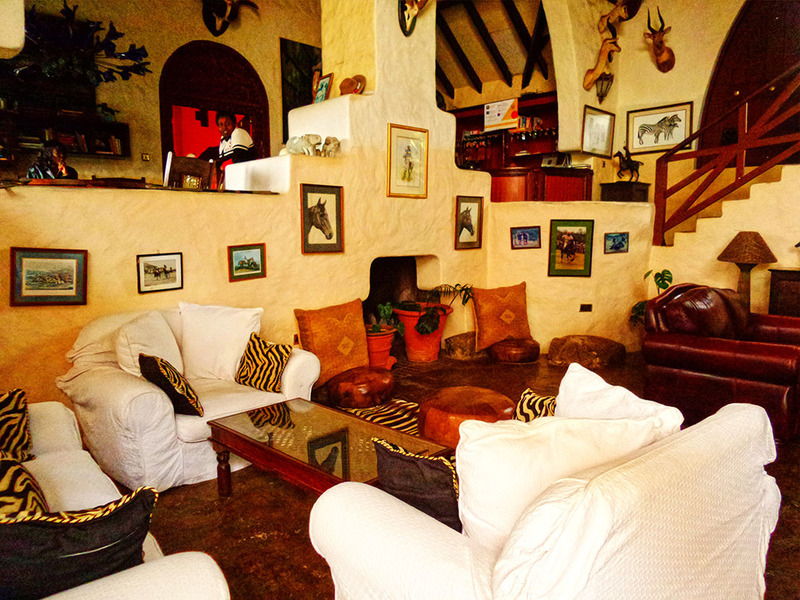 Drive straight ahead for 5.9km, Maasai Lodge will be to your left. 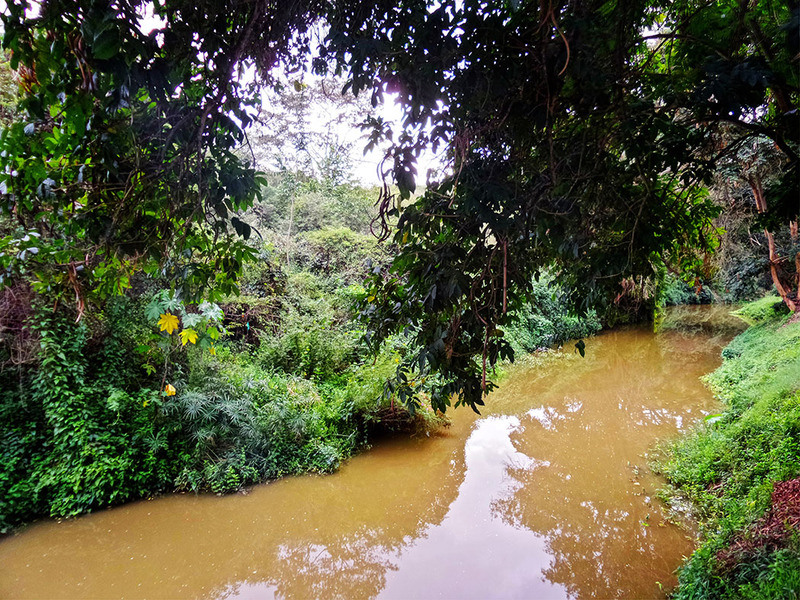 What a surprise to know that such a place exists right in Nairobi. 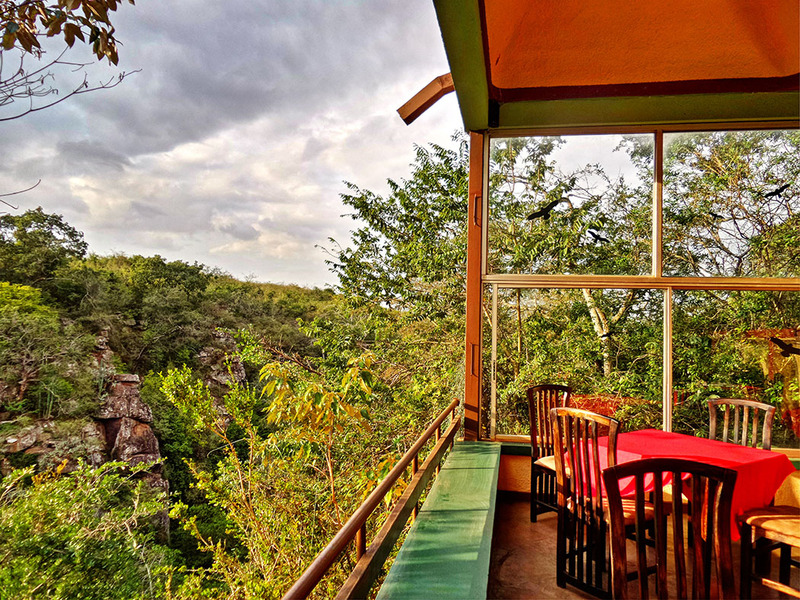 Amazing views over the Gorge and out over Nairobi National Game Park. Wow, the swinging bridge over a deep gorge is out of a movie! I had always thought that Rolf’s was waaaay out of town yet it is so close. Definitely planning on going back, and I agree about the bridge. Wow what a beautiful place! And a stunning view. That platter looks delicious too. 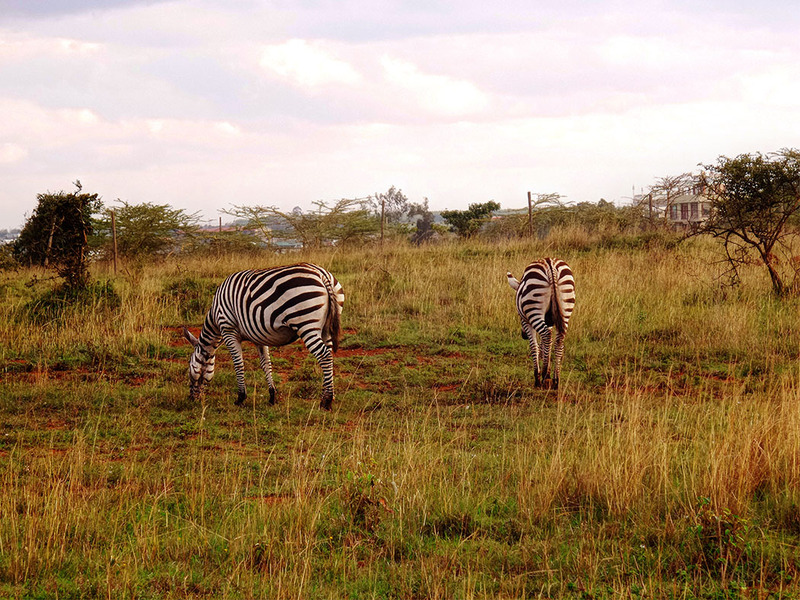 I cannot imagine what it is like to just be driving home and spot some zebras. That’s too odd for me. Wow – it’s funny how your plans got thwarted twice but everything still worked out for the best. 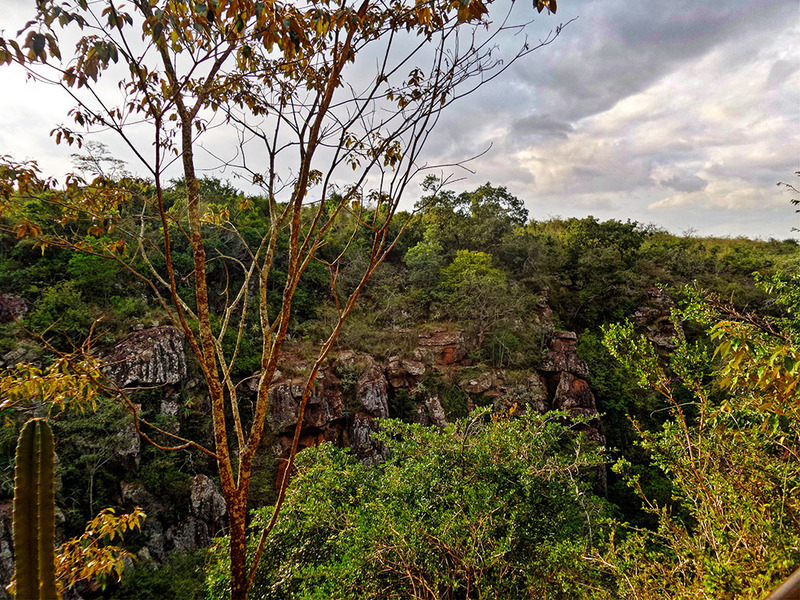 The views of that gorge are amazing. The pic of the suspension bridge really gives a good idea of just how deep the gorge is. Looks like you guys had a fun day! Wow!!! This place is so beautiful. I’d love to eat with that view. And how cute are those little creatures?! I can’t believe they’re related to elephants haha. I just kept staring. They are adorable! Just looking at the pics makes me want to visit the place like now. Interesting especially knowing these places are minutes away from the city center. You don’t even need to do that much planning. Just pick a weekend and go! Sorry for the late response. There is no entry fee. Yes you can visit without booking a room. Gorgeous spot! 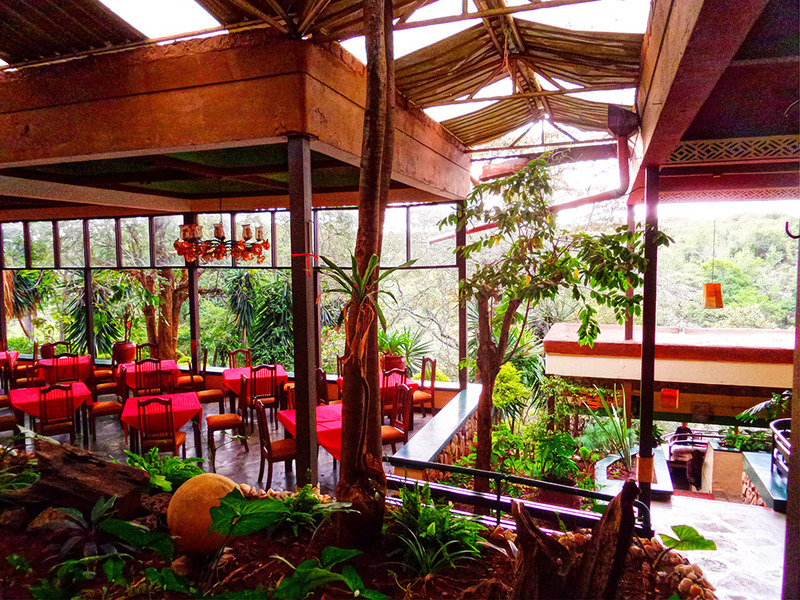 Places like Rolf’s are the reason why I’ve been to Kenya three times since last November. I’m constantly impressed by the combination of nearby wildlife, service and food. I tried ugali for the first time last week and really enjoyed it. I’m surprised you like ugali. I’m honestly not a fan ( I had too much in boarding school), I had the fries. 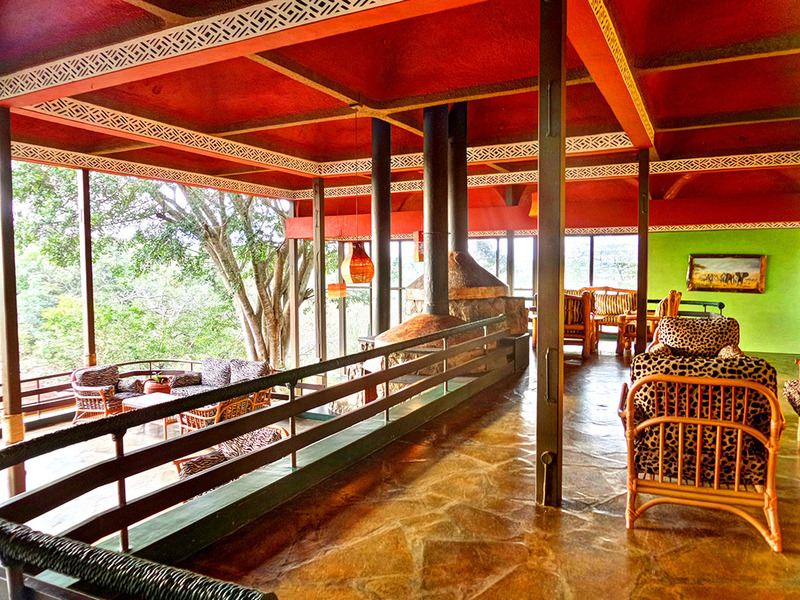 Both places, Maasai Lodge and Rolf’s Place, look gorgeous. I like a lot the décor at the Rolf’s Place. And the meat platter looks delicious. Thanks for sharing, Rachael! I absolutely loved this post. 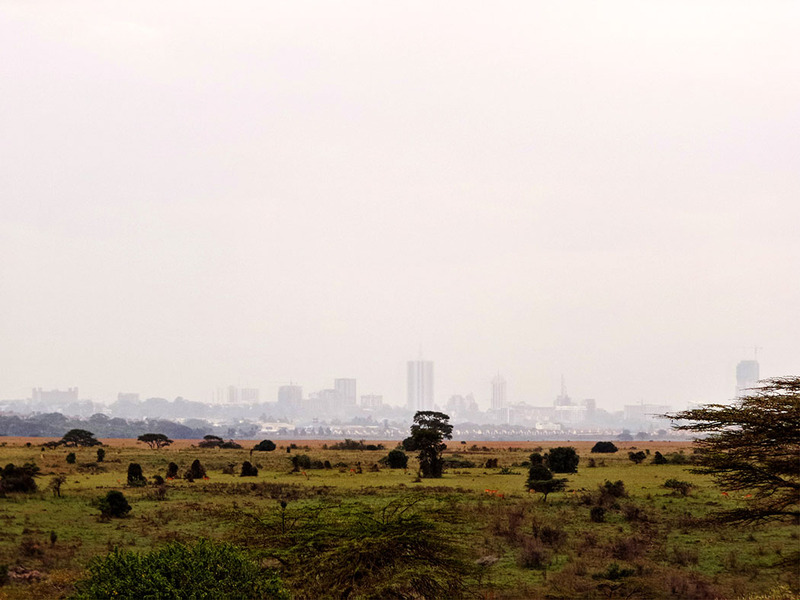 I was interested in the view of Nairobi. The furry creatures “hyraxes”- how cute. I have not heard of them before. The decorations in the lodge are so different to what I am used to seeing. 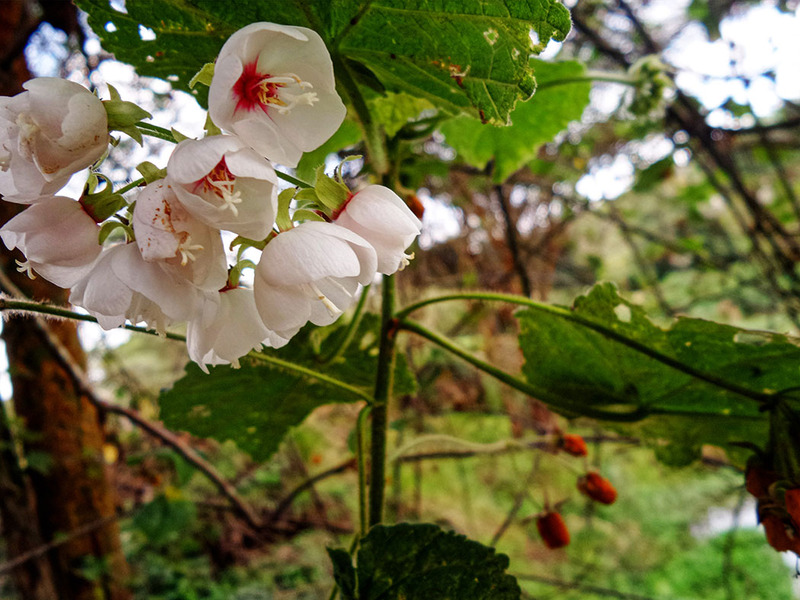 I was straining to see the white flowers on the tree and in the very next photo you showed a close up. Beautiful. 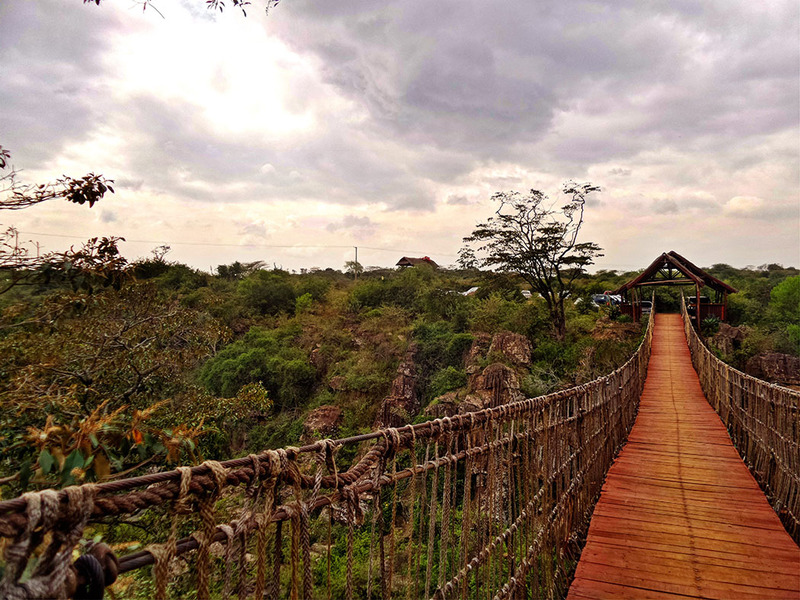 I didn’t realize how high up that rope bridge was until you showed us a side view of the gorge and Rolf’s Place. 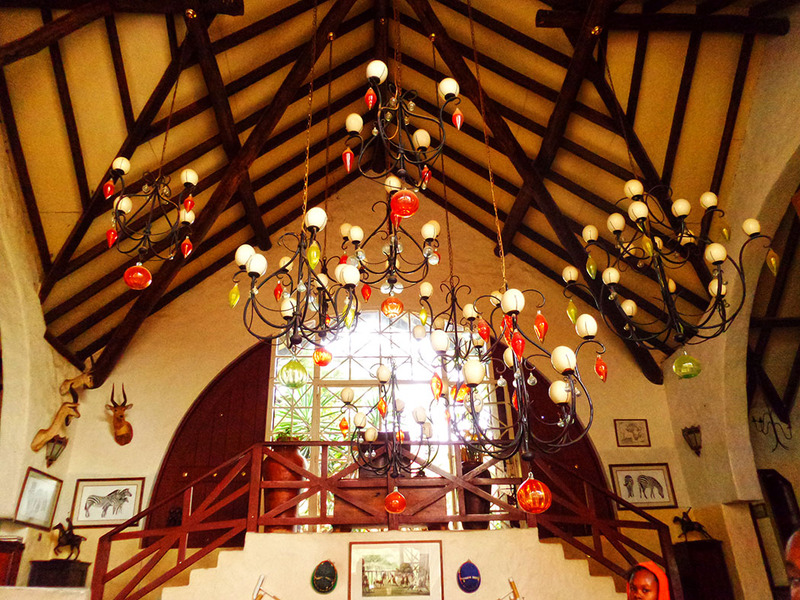 The chandeliers at Rolf’s Place are very interesting, too. 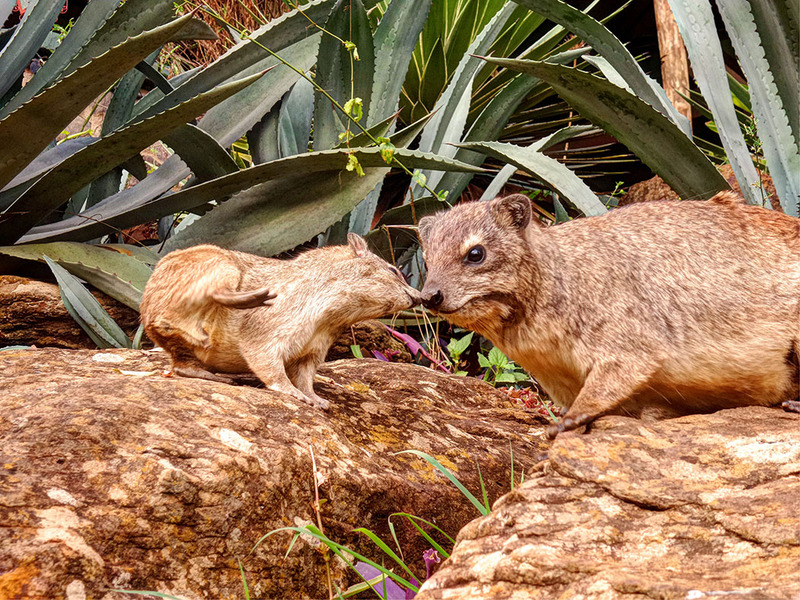 I’m going to have to read up on rock hyraxes as I don’t see the similarities to elephants at all. 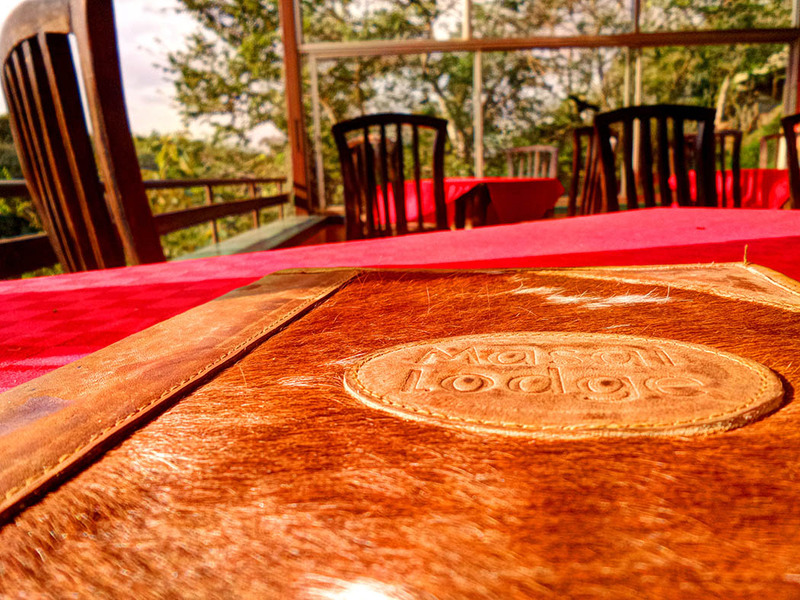 I’m so glad you finally got a good meal in at Masai Lodge. The lodge is gorgeous – lots of different styles. I like the bridge. Every time I see one, I want to walk it. I’m surprised there weren’t more people there. Do you have less visitors in winter? That meat platter looks delicious. Is ugali like fufu or sadza? Rachel, What a great place to spend the afternoon! That meat platter looked pretty amazing. 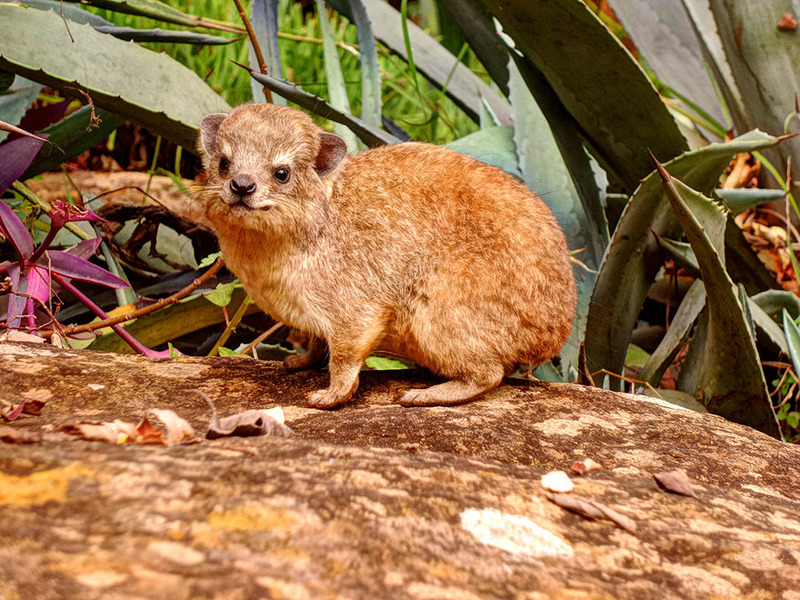 Also, loved that the hyraxe’s nearest relative is the elephant…wow! Beautiful photos! Those are some gorgeous places to visit and even just hang out. 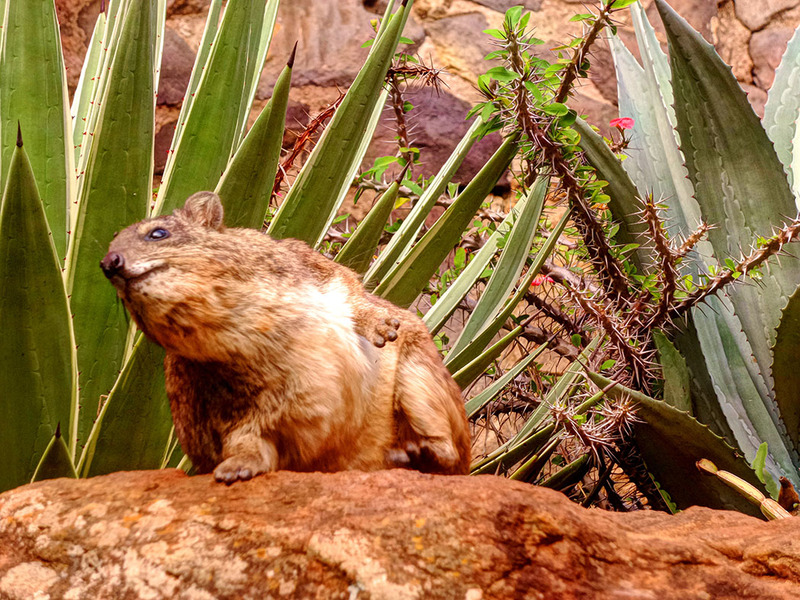 I didn’t even know what rock hyraxes were so I learned something new today. 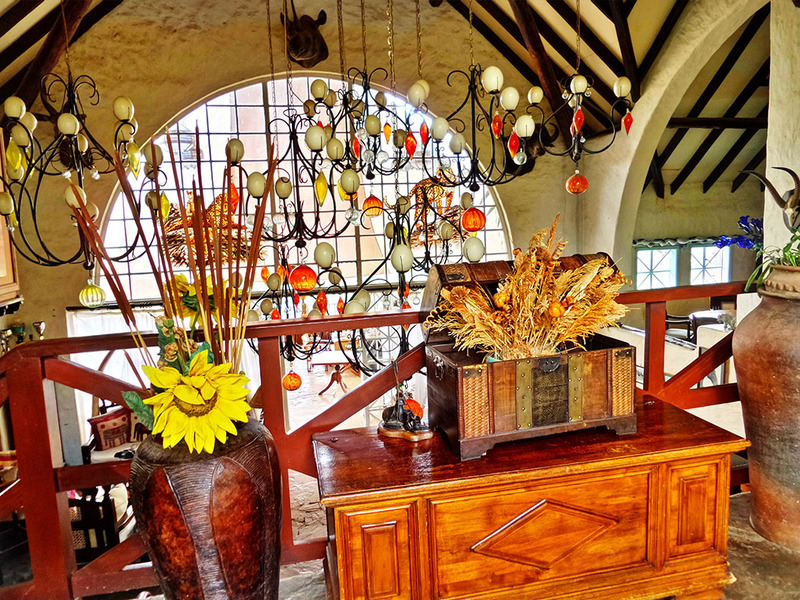 I love the decor and how they brought the outside indoors. How neat to just spot zebras on your way home! Wow! i should plan and go there. You really should. The scenery is amazing. Also reading this in 2018 and finding it helpful. Thank you so much for writing it and including all the photos, Rachel!